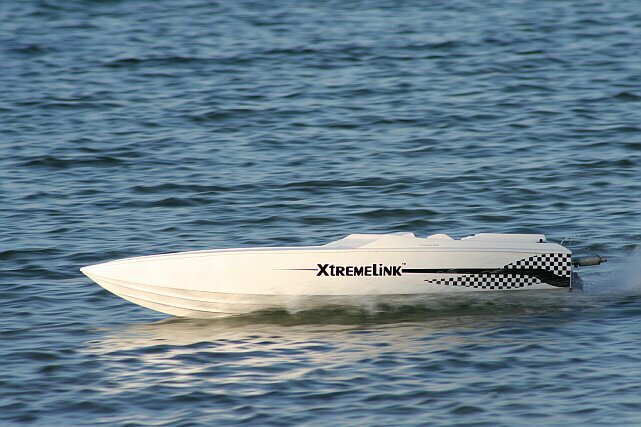 The XtremeLink� radio system was tested on the waters of Lake Havasu City, Arizona (a popular boating community). 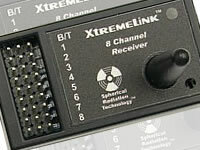 The radio performed flawlessly at any range, any angle, and with any number of other boats in the water at the same time. 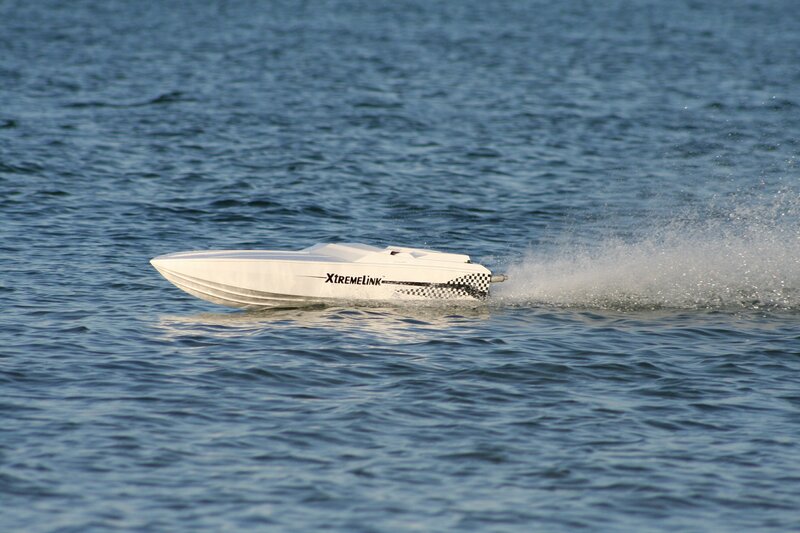 The boat pictured is a common 58" Apache hull, off-shore replica, powered by a Zenoah G-26 gasoline engine. At no time were any lock outs or glitches experienced. 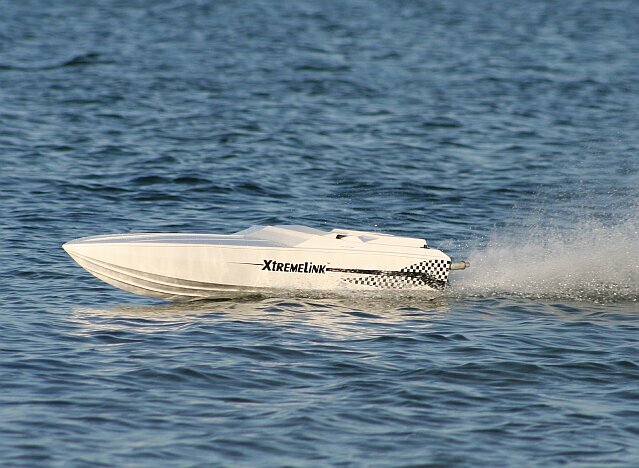 The only incident occurred when 8 year old Carter Bahde was driving and tumbled the boat while turning a bit too tightly in a hairpin. The engine was killed remotely (moving the throttle from idle to the brake/kill position). The boat partially sank, filling the entire hull and the supposedly water-tight radio box, full of water. To everyone's surprise, the radio still worked! The entire radio box was flooded. 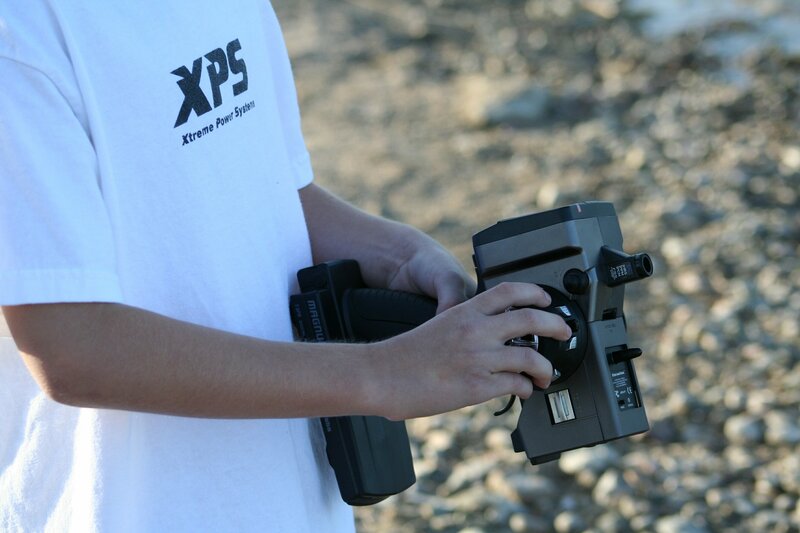 One servo was twitchy and the other was working perfectly along with the XtremeLink� receiver! The XtremeLink� receiver's conformal coating prevents water from entering components on the circuit board, allowing it to work in high humidity environments. Click on any picture to see an 8 mega-pixel close up. 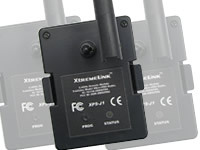 Futaba 3PK XtremeLink� system. Note the antenna length.